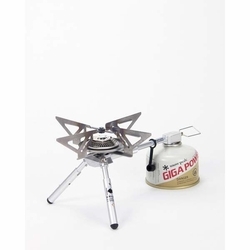 Snow Peak BiPod Stove. The uniquely and beautifully designed BiPod Stove is lightweight and compact, ideal for those who want an easy-to-use stove without sacrificing power. A wide support arm and sturdy legs allow you to safely cook on larger pans.